Music Director Adam C. Riccinto and the Ypsilanti Symphony Orchestra (YSO) continue their 20th Anniversary season with a concert at Towsley Auditorium/Washtenaw Community College on Sunday, December 2 at 3:30pm. In keeping with the season’s theme “Local Treasures,” the YSO is thrilled to perform with special guests (and beloved local favorite) The Boychoir of Ann Arbor. The program includes the symphony’s performances of Dvorak’s “Symphony No. 8” and a medley of songs from the movie “The Polar Express.” In addition, the symphony and the boychoir will jointly perform Christmas-themed pieces such as the classic “Ding Dong, Merrily on High,” Schultz’s “Christmas Mosaic,” and Bach’s “Wachet Auf.” The Boychoir of Ann Arbor will also perform a selection of choral works. The Boychoir of Ann Arbor provides valuable vocal training, sophisticated repertoire and varied performance opportunities for musically gifted boys ages eight to eighteen from the greater Ann Arbor area. For over 25 years, the Boychoir has presented annual Christmas concerts, as well as sacred music concerts and seasonal concerts. The Boychoir has appeared with many other music organizations including the Ann Arbor Symphony, Measure for Measure, Vox Early Music Ensemble, and the University of Michigan Men's Glee Club. 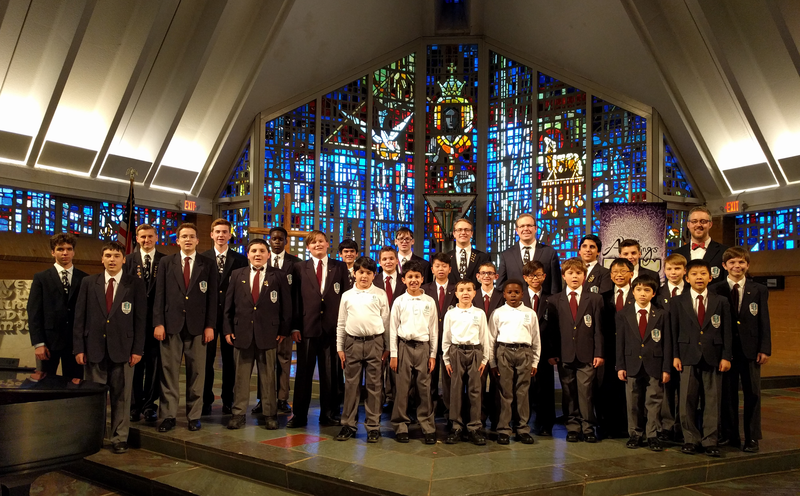 The Boychoir of Ann Arbor also performs for community concert series, weddings and private parties, as well as in schools, senior centers, churches, non-profit organizations, and other venues throughout Michigan and northwestern Ohio. 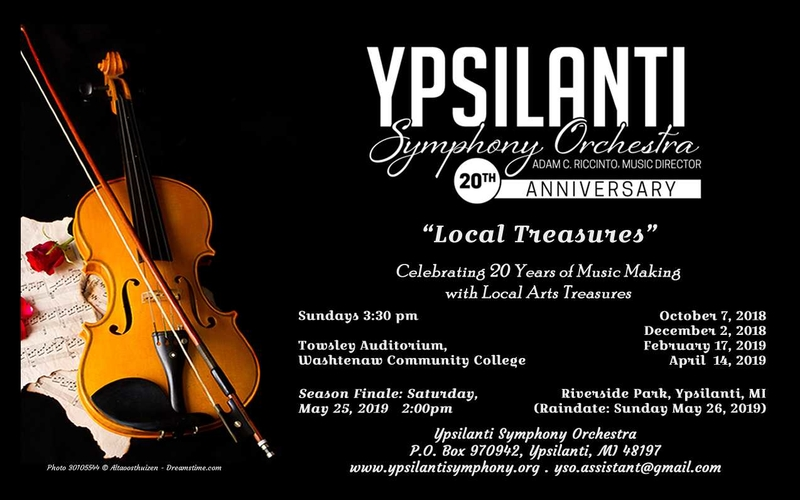 The Ypsilanti Symphony Orchestra, or YSO, is proud of its unique and significant cultural contribution to the Ypsilanti area. 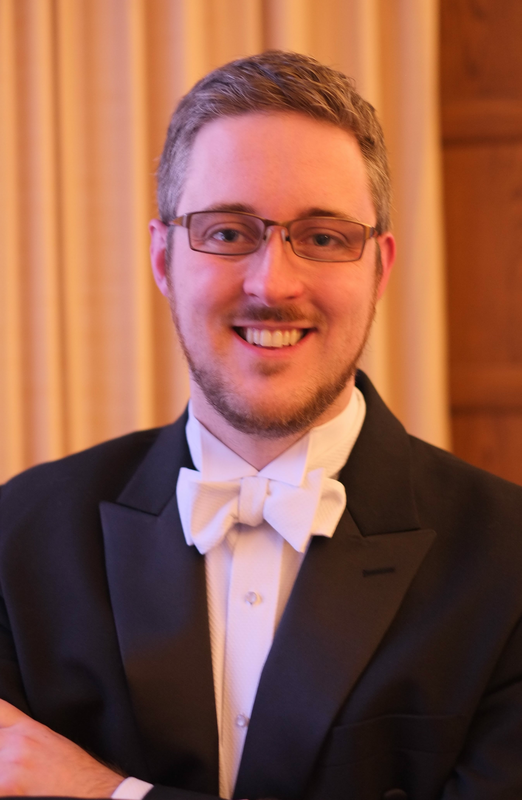 The YSO’s mission is “to share our passion for music through innovative programming, creative collaboration, and arts advocacy,” and to “actively contribute to the music appreciation and education of our musicians, organizational members and audience.” Led by Founder and Music Director Adam C. Riccinto, the Symphony marks its 20th anniversary with the 2018-19 season.